Ripple’s XRP is 15% higher in the last 24 hours after bouncing from a two-day pullback into the key weekly support-turned-resistance level below $0.50. Price is now trading at $0.528 and this may set the stage for a further rally in XRP to try and test last week’s close at $0.57 and target the levels above. The $0.75 level would provide the first resistance on the way to the $1.00 mark in XRP. Trading above that level could hint at a strong rally ahead in XRP. 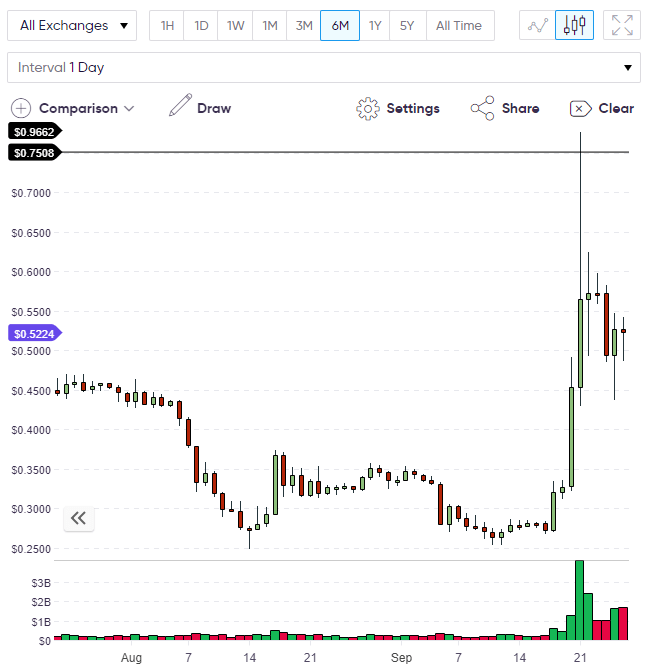 XRP had bolted higher last week on news of the impending release of its xRapid product, which will allow Ripple to target the huge cross-border payments market that currently runs through the SWIFT system. 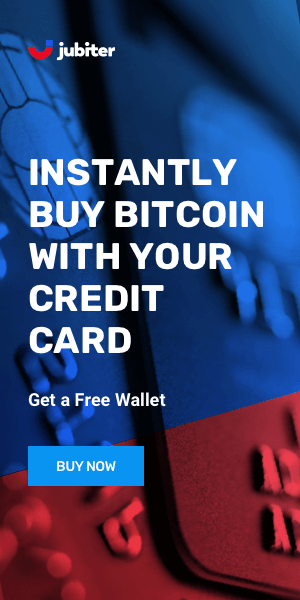 xRapid is a real-time settlement platform which is designed to speed up international payments. 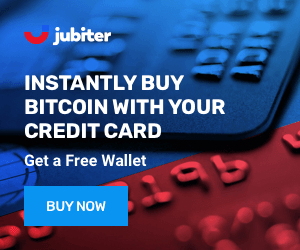 The goal of the product is to reduce liquidity requirements from institutions who would have to underwrite international payments during their 2-3 day processing time. 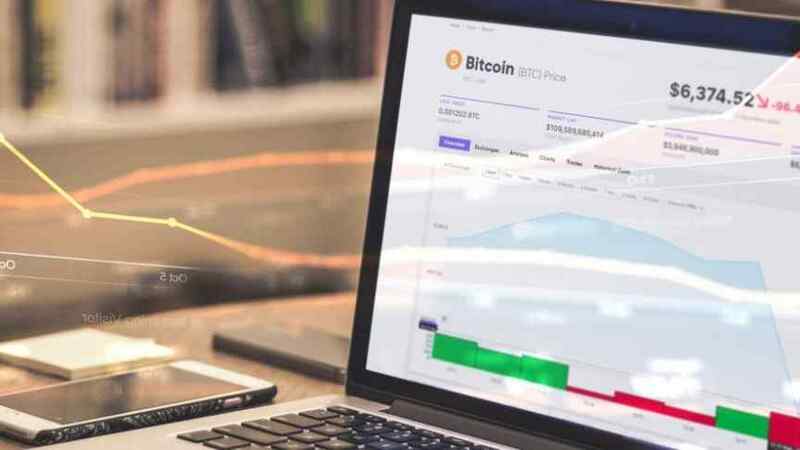 In a pilot of the platform earlier in the year, participants reported significant savings of 40-70 percent on transactions and a transaction speed of “just over two minutes”. The price of Bitcoin has dipped under the key $6,500 level after a bearish start to the week, which has dashed any hopes for the test of the $7,250 area. 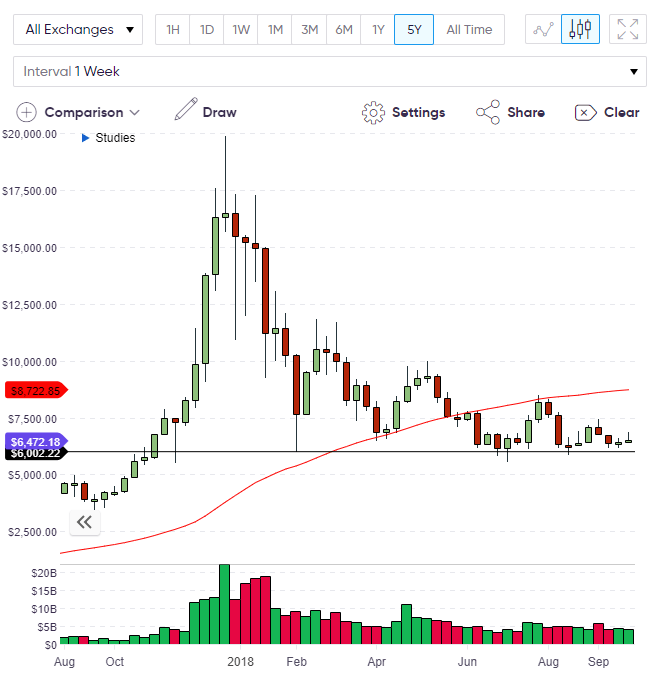 Despite the weakness, Bitcoin could finish the week above the key support level at $6,000 and this would be the fourth-successive monthly hold above that level, which could become the base for a significant rally. In further hopes for regulation of the cryptocurrency market, a roundtable meeting of regulators and members of the cryptocurrency industry was set for this week. Congressman Warren Davidson was hosting the event and was joined by companies such as asset management heavyweight’s Fidelity and State Street, alongside representatives from Circle, Ripple and Coinbase. The questions sent to the industry reps centered around protecting investors from fraud and still adopting a “light-touch” approach to regulation that doesn’t “kill the U.S. ICO market”. If Bitcoin can stay above $6,000 this week then the previous resistance levels of $7,250 and $8,500 will be the obstacles to another test of the psychological $10,000 level. Ethereum is hovering above the key $200.00 level after a bearish few weeks. The weakness in Ethereum risks another bearish signal on the week for the second-largest coin. Ethereum’s Co-Founder Vitalik Buterin has proposed a new scaling solution for the network this week. Speaking on the research forum, the idea would be to adopt the zk-SNARKs cryptography that was first adopted by ZCash. Buterin expects that the new on-chain scaling efforts could see Ethereum reach 500 transactions per second. Ethereum has been under pressure in recent weeks after criticism of the company’s evolution was aimed at the potential scenario where a third-party ERC-20 token on the Ethereum network could end up replacing ETH. 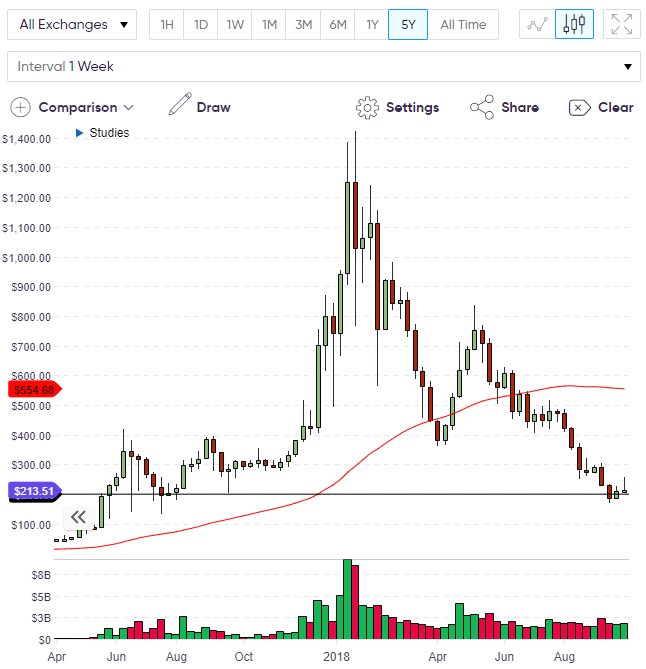 ETH is still struggling to see significant new buyers emerge despite the cryptocurrency collapsing in price, following $800 highs in April and $500 in July. 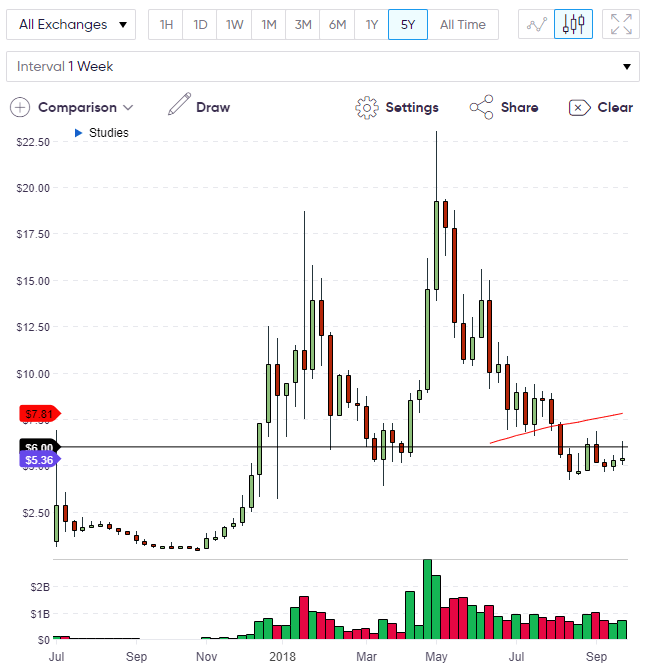 The next path for ETH will revolve around the $200 level, but a hold above that level for the month of September would be a positive sign and give hope that this level is the floor. The reality for ETH is that they are likely to lose second spot on the crypto market cap list and that could happen this week with the gap being $1 billion at present. EOS currently trades around the $5.30 level after a gain of over 3% in the last 24 hours and the monthly resistance would be the $6.00 level. It might be a challenge to see EOS crossing that level this week but as long as price stabilizes then EOS can start to make another move to the upside. A close above $6.00 for the week would likely see $8.00 tested next week. In positive news for EOS, the cryptocurrency platform Circle has added the token to its investment platform. EOS was chosen alongside Stellar, 0x and Qtum. 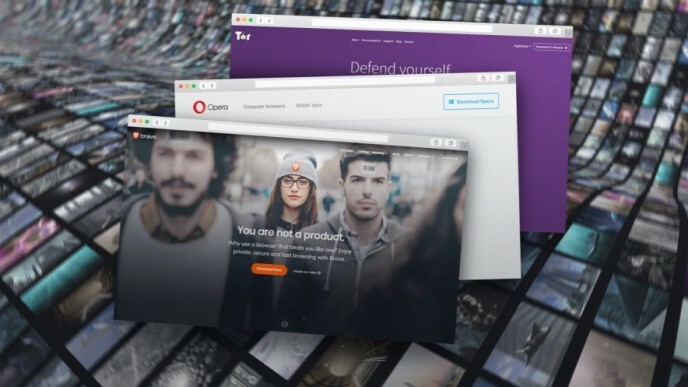 Circle was backed with $140 million in venture capital from companies such as Goldman Sachs and Baidu. The company could become a major player due to its connections and aggressive expansion plans. Circle acquired the Poloniex cryptocurrency exchange earlier in the year as the company seeks to become one of the leading players in the market. The noted meeting of cryptocurrency representatives to discuss regulation has heavy links to the traditional banking players. Ripple has over 120 banks signed to its products, whilst Goldman Sachs are a hey player in Circle. With Fidelity and State Street also involved, it shows how serious the Wall Street companies are taking the cryptocurrency market despite staying silent on its future.